Etienne is a prince in need of a werewolf. A werewolf himself from birth, Etienne and his family have protected their kingdom with tooth and claw—literally—for thousands of years. Unfortunately, the spell of a well-meaning witch is slowly turning him human. Only the bite of a cursed werewolf, one who was not born with the beast inside, can save him from becoming human. He has no time for anything that will not lead him to a cure for the curse. Not even the beautiful maiden whose gentle nature soothes his soul can take his mind from his goal. 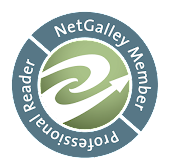 If I am reading a book just for enjoyment, I am guilty of only reading the first couple chapters to see if the book is going to grab my attention. If I am done that with BEFORE MIDNIGHT, I would have missed out on a fun read. As you have probably guessed, BEFORE MIDNIGHT didn't start out with a bang. In fact, I thought that it was rather silly. Soon however I discovered that I am was enjoying the silliness. Now mind you, it wasn't all lighthearted because there was an evil stepmother who really was evil. And there was also the theme that love can conquer all. 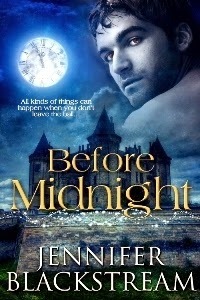 I would recommend BEFORE MIDNIGHT to my readers who enjoy reboots on the fairy tales in a paranormal fashion. I am rather interested in just what Ms. Blackstream has planned for her vampire.